Place the drained sauerkraut into a 6 quart slow cooker. In a small mixing dish, stir together the brown sugar, thyme, salt, and pepper. Rub the brown sugar mix all over the pork roast, covering front back and sides. 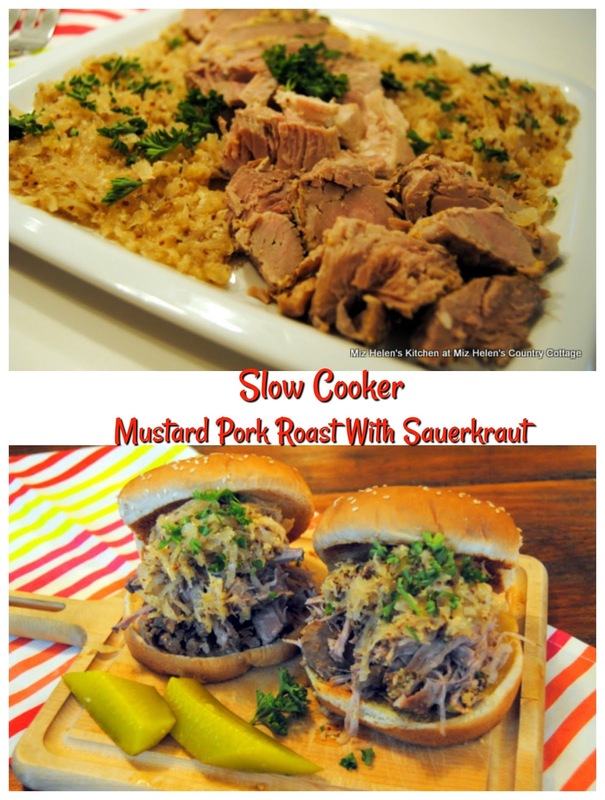 Top the pork roast with the mustard. Pour the apple juice around the edge of the pork. Cover the slow cooker and cook on high for 4 to 5 hours or cook on low for 8 hours. This roast can be sliced after cooling or can easily be pulled for a sandwich. The sauerkraut can be served on the side and is delicious. I sure am glad that you stopped by the kitchen today to spend some time with me. Sit right down at the table and lets enjoy this awesome Slow Cooker Mustard Pork Roast with Sauerkraut. Have a wonderful week and come back to see me real soon! 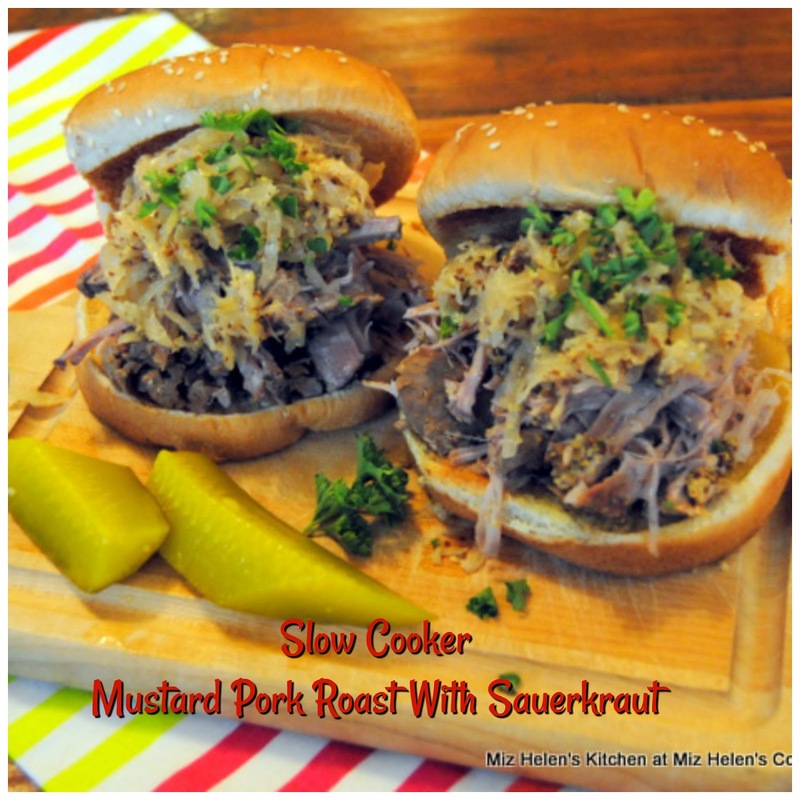 I just love pork and sauerkraut, Miz Helen, and this sounds so easy and flavorful. Miz Helen, this recipe sounds mouth-watering! What a flavorful dish. Thank you so much for sharing with us at the Whimsical Wednesdays Link Party! Have a great week!